There were no shocks for interest rates today with the Reserve Bank of Australia leaving the official cash rate on hold yet again. 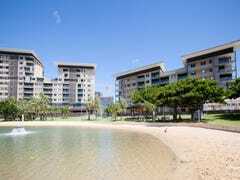 The board has reiterated its firmly neutral stance and kept the cash rate on hold for the tenth consecutive month at a record low 2.5%. The Reserve Bank of Australia (RBA) has announced the outcome of their monthly board meeting. 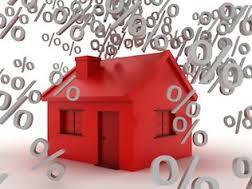 The RBA decided that the cash rate will remain on hold at 2.50 per cent for October. The decision to leave the cash rate was widely predicted, as consumer and business confidence edges higher and the real estate market continues to recover. Knowledge is power when it comes to negotiating the best deal possible for your mortgage! Do your homework and be definite about what you do or don’t need your mortgage to do. Packages are offered across the banks with interest rate discounts based on borrowing volumes and sometimes LVR’s (loan to value ratio’s which simply is debt divided by the value of your property) the lower the ratio generally the stronger the deal. Get a strong understanding of your current lending needs and the type/s of loans you currently hold ie. variable or fixed. Consider your future lending/investment needs – be honest with yourself clarify your potential lending needs and develop an accurate and complete financial picture. Mortgage Brokers work across all of the banks and have this information at their fingertips. Any Broker worth their salt should be negotiating the best deal possible for their client as a matter of business. At the end of the day you need to present your lending needs in the best possible light. Amplify your strengths, highlight strong income, good equity, clean account conduct these are all positives for the bank and for you. Make it clear that if your bank is not prepared to negotiate you will move your business to a bank that is prepared to work with you. And, yes there are costs in refinancing – some banks will assist a client with these costs to make refinancing existing lending easier should your current bank refuse to assist. If the reimbursement of costs is not available do your numbers to ensure you’re making the best move before you jump. Don’t accept advertised rates, scour the market, research what other financial institutions are offering and armed with this knowledge bargain with your bank. You don’t get what you don’t ask for is the motto I go by and generally I can shave up to 1% or more off the banks advertised rate armed with knowledge and a bit of negotiation.